The victim, 8-year-old Caden McWilliams, is believed to have been in the storage unit for months before he was found. DENVER — An arrest affidavit made public Tuesday offers new details about the investigation into the disappearance of an 8-year-old boy whose body was found inside of a Denver storage unit encased in concrete. The victim, identified as Caden McWilliams, was believed to have been in the unit in the 5000 block of East Evans Avenue for months before his body was found on Dec. 23, 2018. His mother, 43-year-old Elisha Pankey, has since been charged with child abuse resulting in death and abuse of a corpse in the case, and is slated to appear in court for a preliminary hearing on April 2. She is being held at the Denver County Jail on a $250,000 bond. Her husband, 39-year-old Leland Pankey, is also going through the legal process after he was accused of assaulting her. He is also being held in the Downtown Detention Center on that charge in addition to warrants out of nearby counties. According to court records, Elisha and Leland Pankey were first married in 2014. According to the affidavit, the couple are parents to a young daughter who a friend of Elisha Pankey said was present in the storage unit when McWilliams’ body was left there. Police did not become aware that McWilliams was missing until December 2018, when Elisha Pankey told the Aurora Police Department that she was the victim of a domestic violence incident and that her husband had left with their children. The affidavit says that officers contacted Leland Pankey at a hotel room in Denver after he started sending threatening texts to his wife. According to the affidavit, officers became concerned when they couldn’t find McWilliams, and went to his daycare. One of the employees told officers that the child was “lost.” During a follow-up interview with that daycare, an employee told police that Leland Pankey met with staff in November, and said that his daughter’s brother “had died.” They said they had met Elisha Pankey once, when she picked up her daughter on Dec. 3. This led officers to interview Elisha Pankey, who said she hadn’t seen either of her children since her husband took them away on Nov. 27, according to the affidavit. This led to a search of the Extended Stay Hotel Room in Aurora where she was staying, and the affidavit says Elisha Pankey had asked victim’s advocates to pick up some medication for her from the nightstand. According to the affidavit, officers who opened pill bottles in the room found what was believed to be heroin. Elisha Pankey was subsequently charged with heroin possession and booked into the Arapahoe County jail. The ensuing investigation led to the discovery that McWilliams had been unenrolled from Denver Public Schools in August 2018, and was last seen in class on May 24, according to the affidavit. Family members of the Pankeys later told officers that they hadn’t seen the children in months. A friend of Leland Pankey told police that he said his son “had passed” and that they “didn’t want anything to do with that storage because it had too many memories,” according to the affidavit. A search of Elisha Pankey’s hotel room revealed a business card with the address of the storage unit where McWilliams body would later be found, according to the affidavit. On Dec. 23, officers found what was believed to be the boy’s body inside of an animal carrier and encased in concrete. The coroner was unable to determine how he died during an autopsy, but malnutrition and mistreatment were believed to be factors, according to a previously released report. 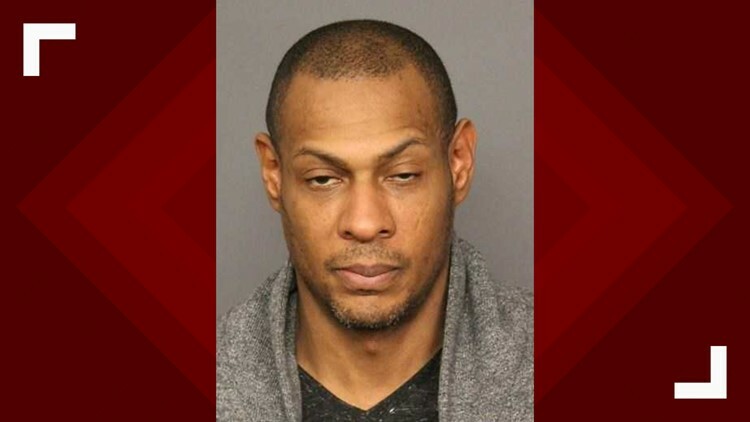 According to the affidavit, a large part of the case depends on an interview with a woman who said she met Elisha Pankey in her pod at the Arapahoe County Jail while she was being held on drug charges. The two later stayed together in a hotel room. 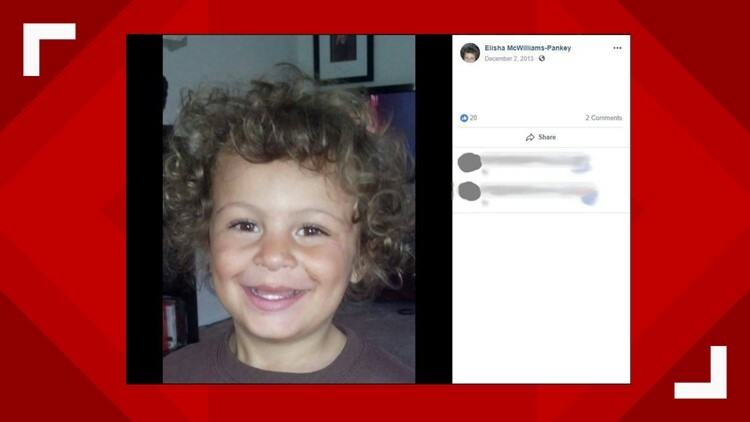 The witness’ name is redacted in the affidavit, but according to police, she claimed that Elisha Pankey told her that Leland Pankey made her son go into the animal carrier. Sometime in July, the woman told police, Elisha Pankey claims Leland Pankey put a blanket over the container. In the morning, they found their son dead and that he had apparently been suffocated. That same morning, according to the affidavit, the woman told police Elisha Pankey said she and her husband put the animal carrier in their car and bought industrial strength trash bags and concrete. The affidavit says the woman claims Elisha Pankey said they put the carrier in a trash bag and filled it with cement, before leaving it in the unit. Leland Pankey has not received in charges related to McWilliams' death. In a news release distributed Tuesday, the Denver District Attorney's Office said it would not release additional information about the case since the investigation was still ongoing. More details could come out during Elisha Pankey's preliminary hearing.